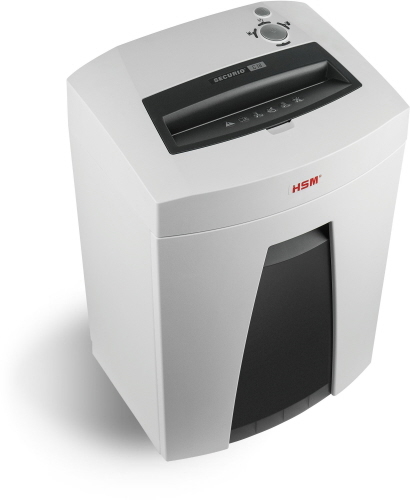 HSM is an expert in office document shredders and data destruction. 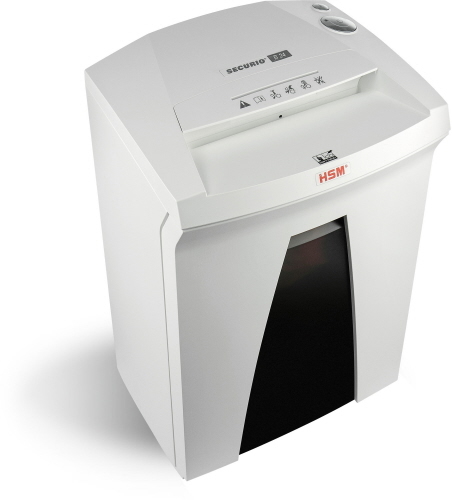 HSM offers a variety of paper and multi-media shredding machines to suit every need. 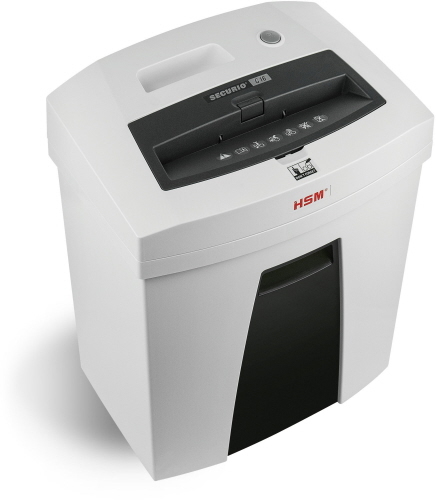 Whether you're shredding paper, destroying digital material (CD's / DVD's / Blu-Ray disks, credit cards / smart cards) - HSM offers a machine for almost every business application where document and data destruction is needed. 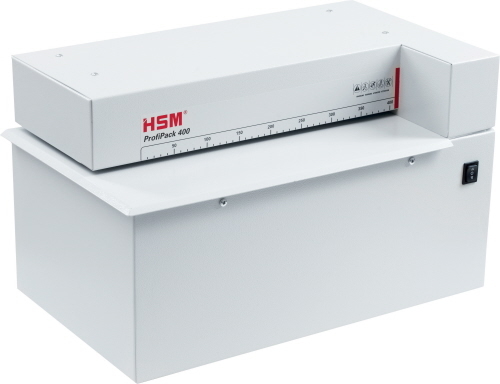 You'll find a model in HSM's line-up suitable for all classes of business, including: home office, commercial business offices, IT department and departmental or high volume industrial use. 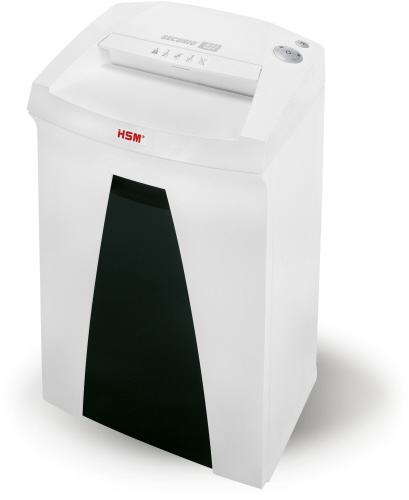 HSM also offers other business machines for converting used cardboard material into re-usable packing material. 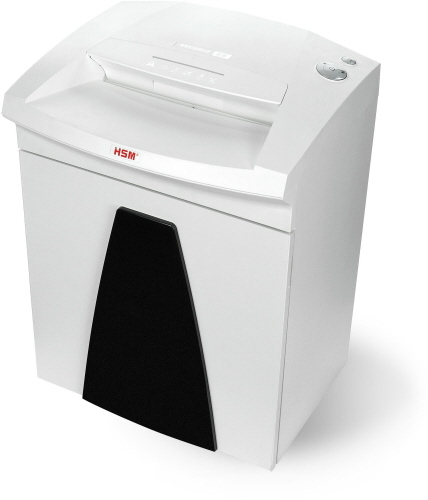 HSM offers a variety of models in their line-up including, standard and auto-feed shredders under the Securio, Shredstar, Classic, Nanoshred, Pure and Powerline branded models. 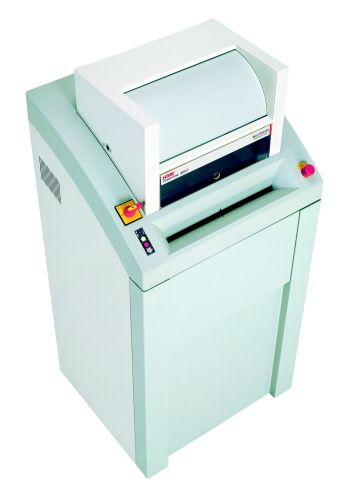 Optimized cutting device technology destroys 6-7 sheets of paper, creating 603 cross-cut - confetti-cut particles per page. 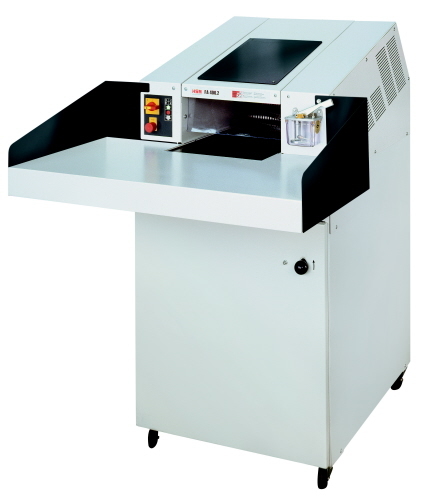 Optimized cutting device technology destroys 12-14 sheets of paper, creating 517 cross-cut - confetti-cut particles per page. Also shreds staples, paper clips, and credit-store cards. Ideal for personal-home office use. 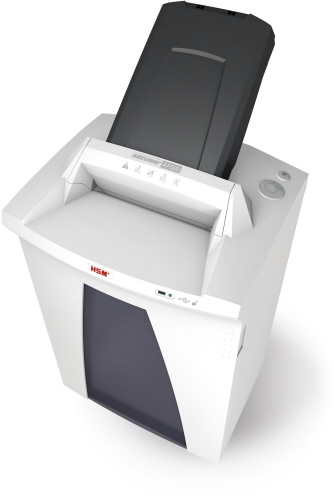 Optimized cutting device technology destroys 10-11 sheets of paper, creating 603 cross-cut - confetti-cut particles per page. 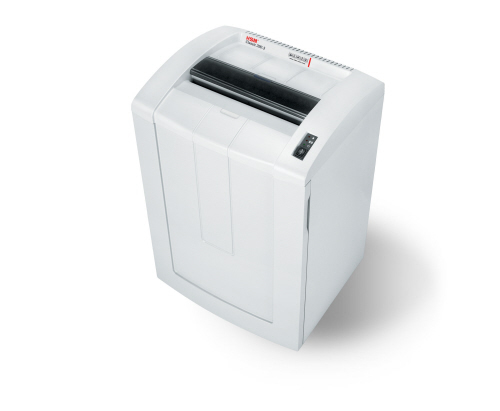 Also shreds staples, paper clips and credit-store cards. 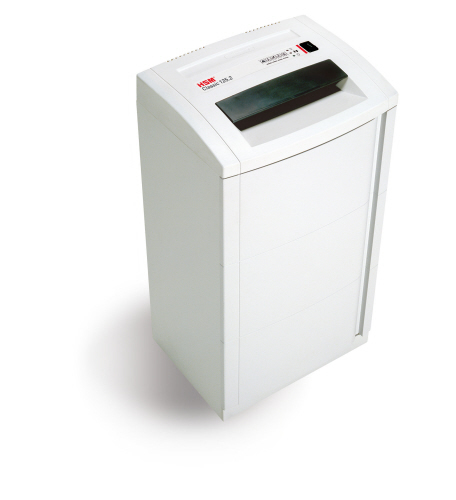 Cross-cut shredder offers a simple, convenient method of data destruction in the workplace. 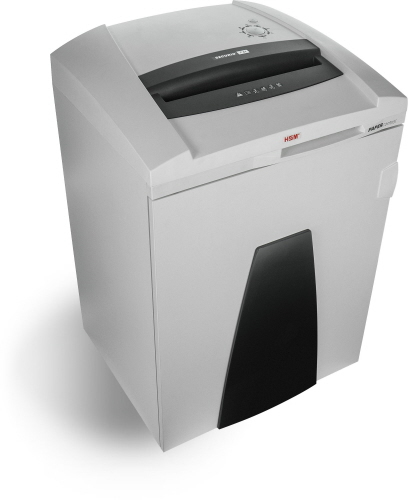 The document shredder with an automatic paper feed shreds stacks with up to 300 sheets. 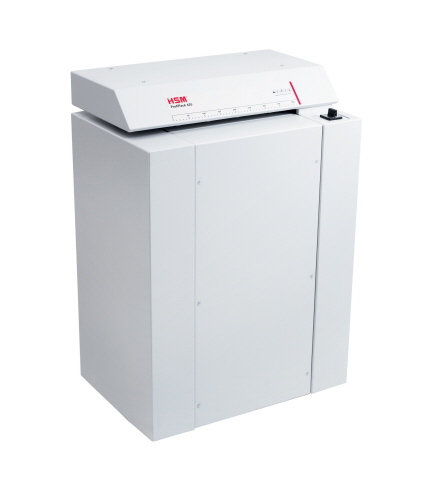 The lockable stack feature protects inserted stacks from unauthorized access. 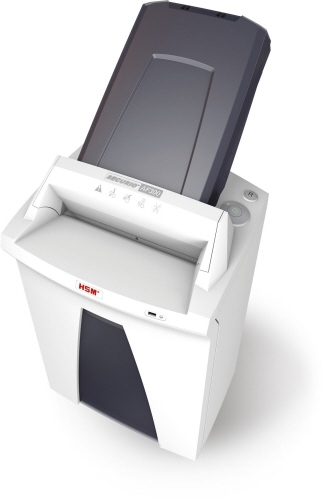 Useful dual function: Manual feed of paper during the Auto-Feed stack processing. Auto-Feed stack console color may vary. 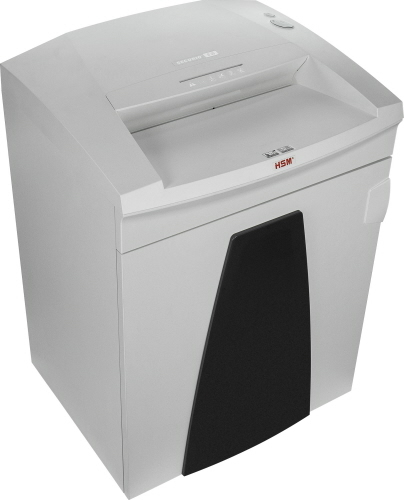 The document shredder with an automatic paper feed shreds stacks with up to 500 sheets. 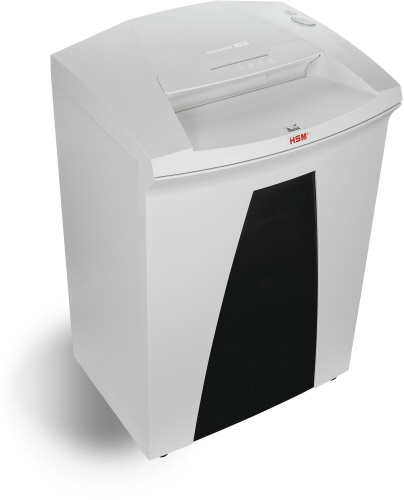 HSM Classic 390.3 HS L6 Cross-Cut Shredder is a large office or departmental shredder with a 39 Gallon high waste capacity bin for extra shred disposal storage. Safety element prevents unintentional entry. Light barrier for automatic start - stop. 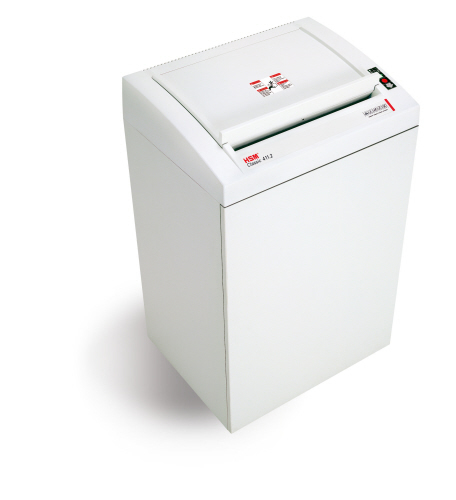 Convenient and effortless removal and emptying of collection bag. High quality wooden floor cabinet with door. Mobile on castors. Includes an external oiler. 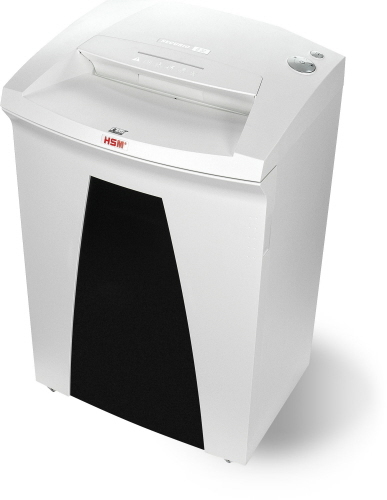 This paper shredder will take your worries away - and your breath, too. 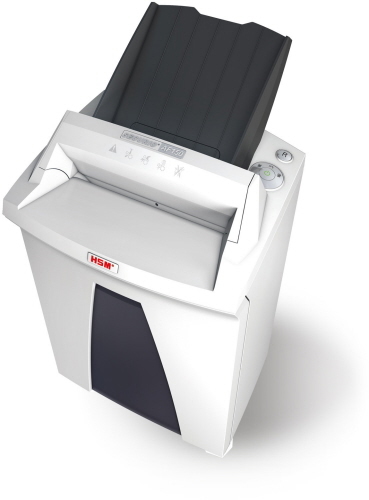 Ideal for entire departments and office floors. 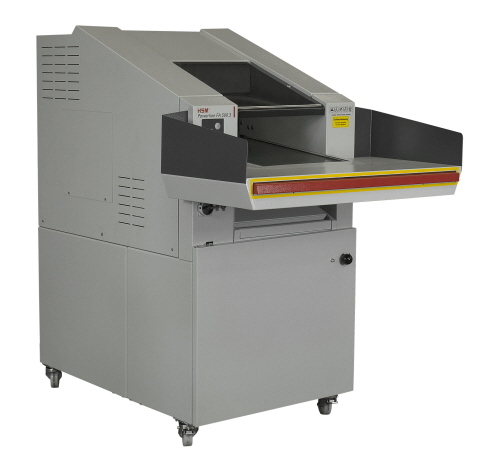 Optimized cutting device technology destroys 35-37 sheets of paper, creating 517 cross-cut - confetti-cut particles per page. 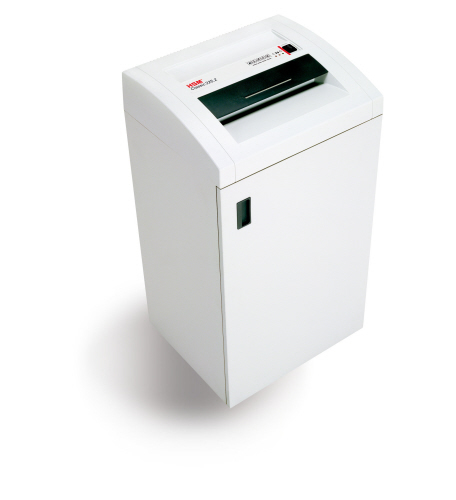 Securio P36c Cross-Cut Shredder features optimized cutting device technology that destroys 29 to 31 sheets of paper, creating 517 cross-cut-confetti-cut particles per page. It also shreds staples, paper clips, credit-store cards, CDs-DVDs and floppy disks. 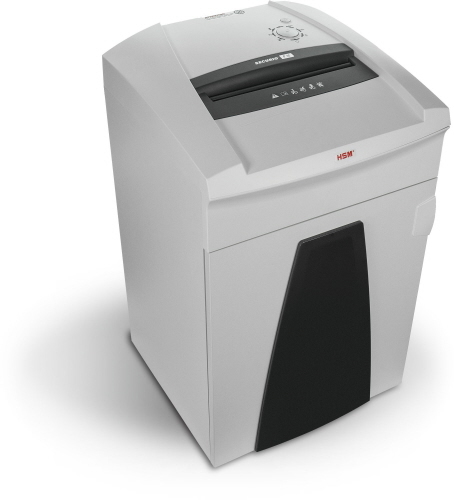 The HSM Classic 411.2 HS L6 is a Type II Level 6 cross-cut shredder for large offices and department use with an extra large 38.5 gal. 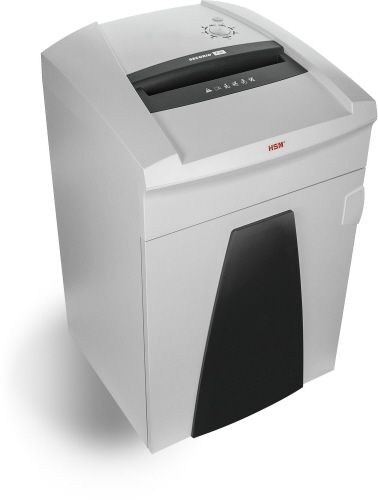 shred waste capacity. Meets RCMP mandatory security requirements. High quality materials and "Made in Germany" quality for security and durability. Cutting rollers made of hardened solid steel. Light barrier for automatic start - stop.